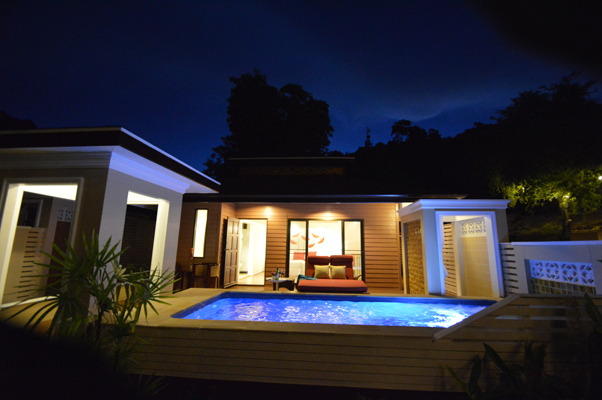 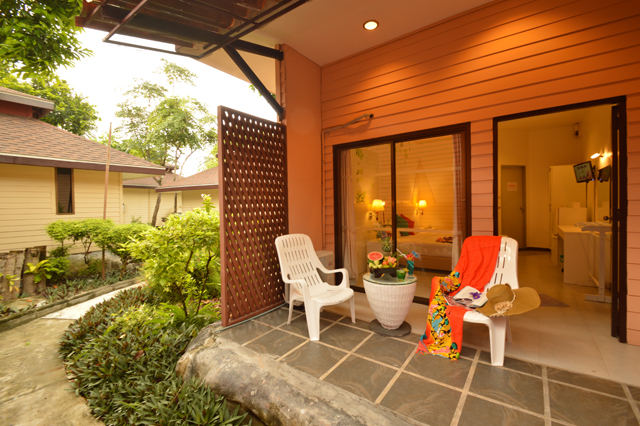 Fantasy Resort & Spa has 7 room types in Caribbean Zone. 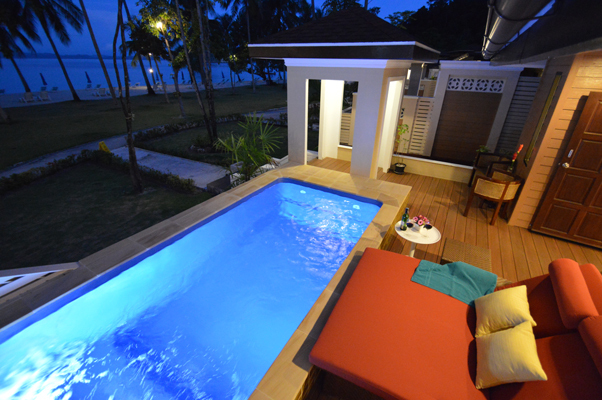 Newly open of The Ocean Front Pool Villa, Beachfront Room, Deluxe Family Room, Deluxe Villa, Garden View Villa, Deluxe Room and Superior Room. 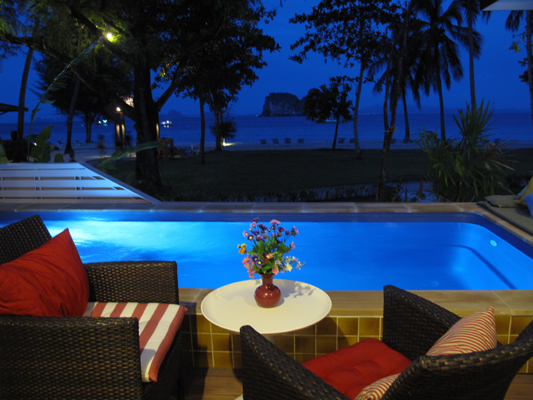 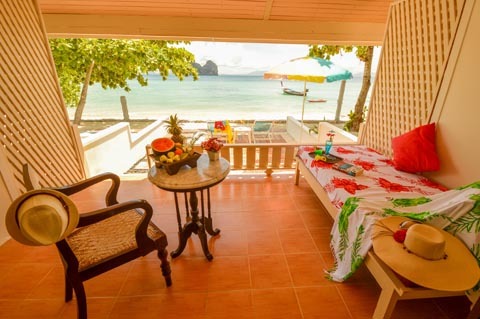 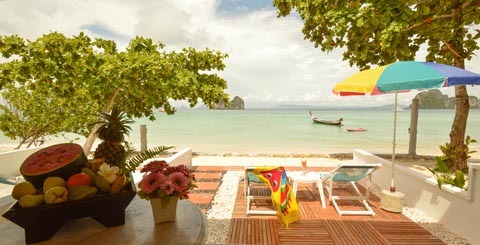 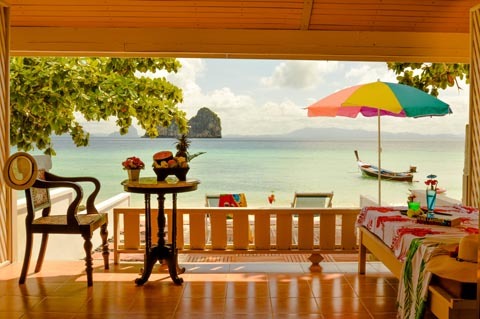 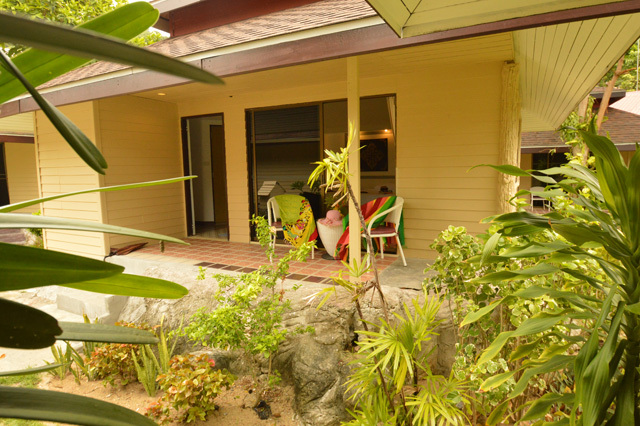 All room types are located in close proximity to the sea and provide guests with sea views. 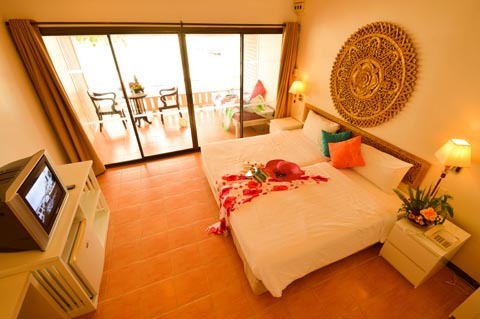 Although this will vary according to room type. 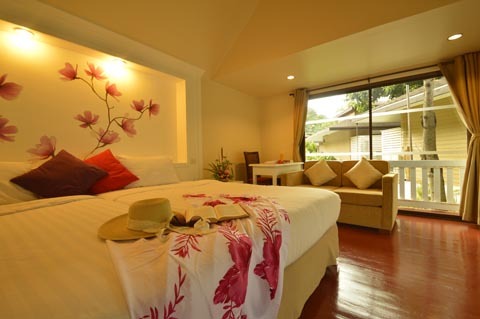 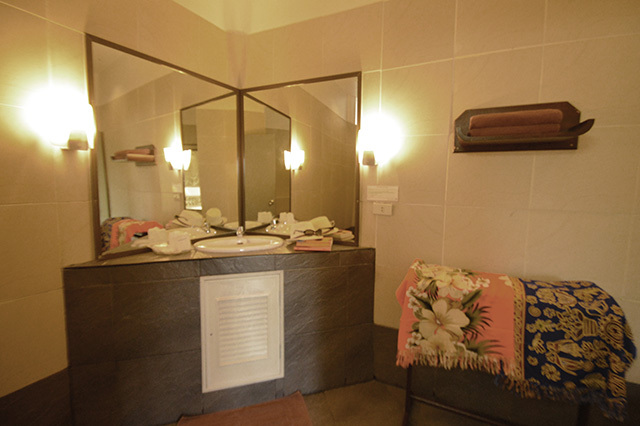 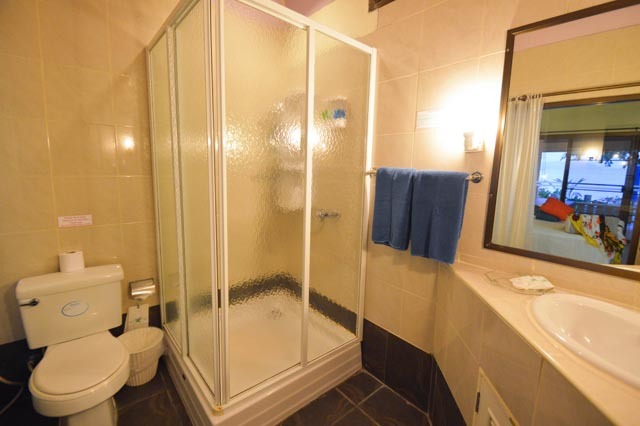 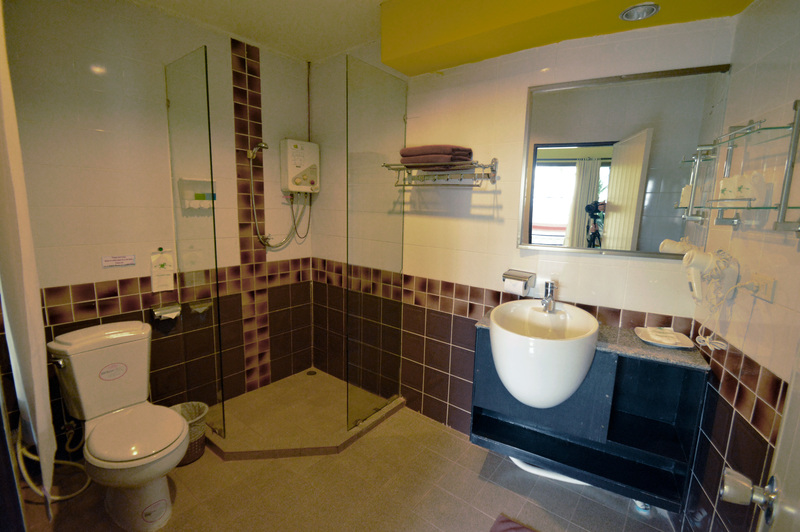 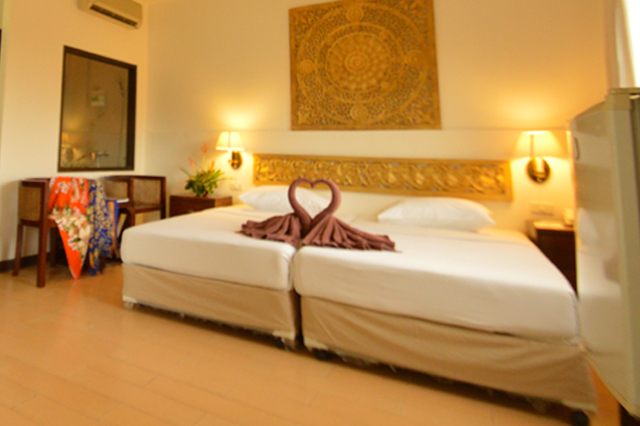 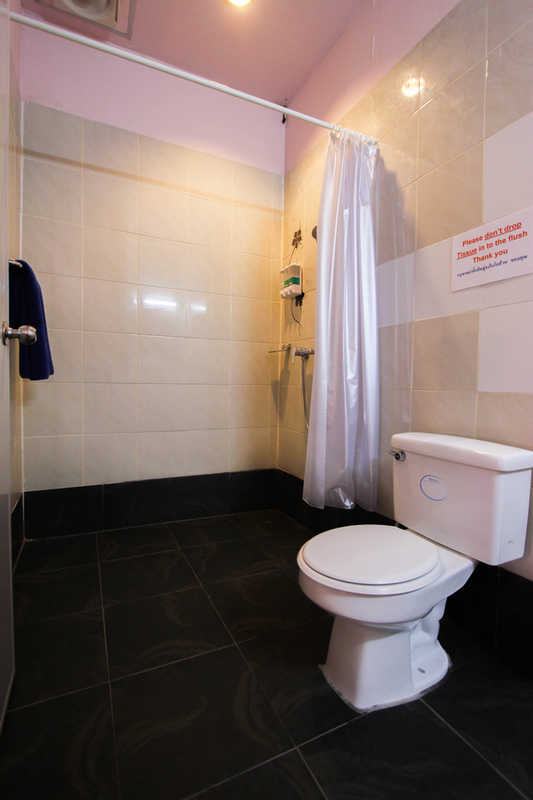 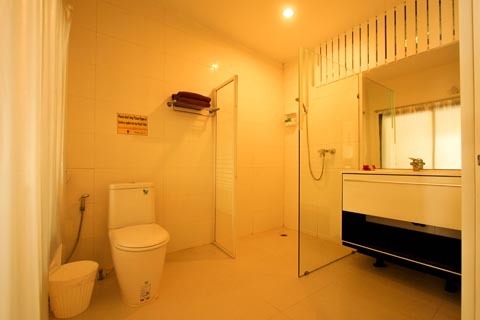 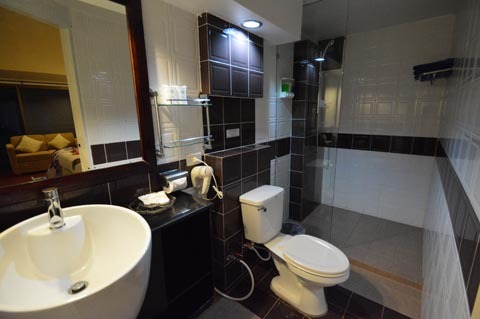 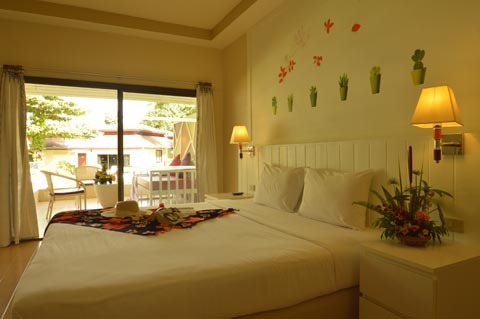 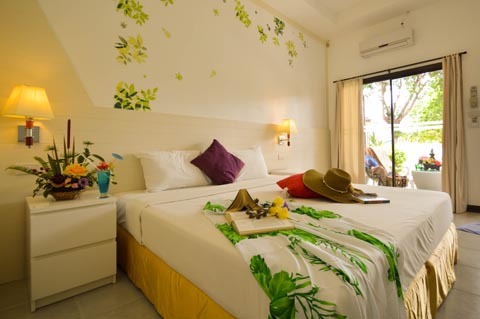 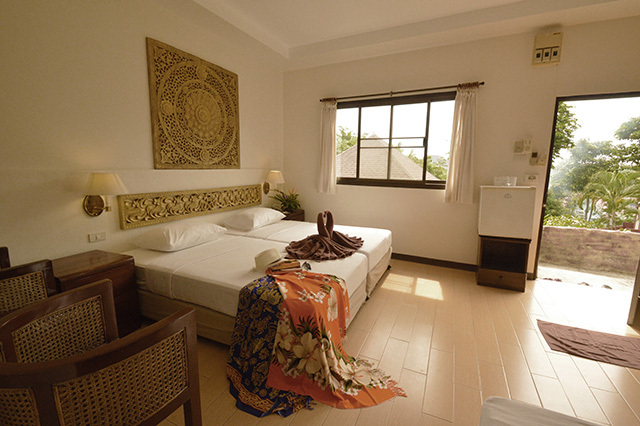 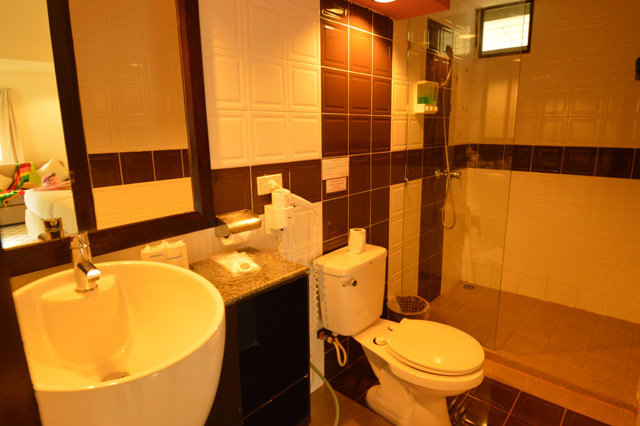 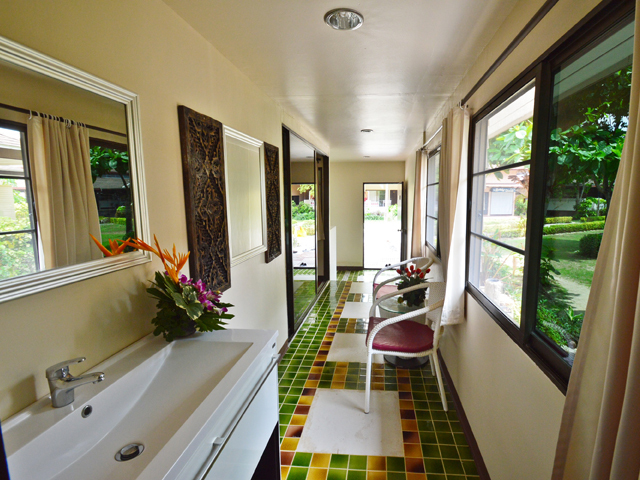 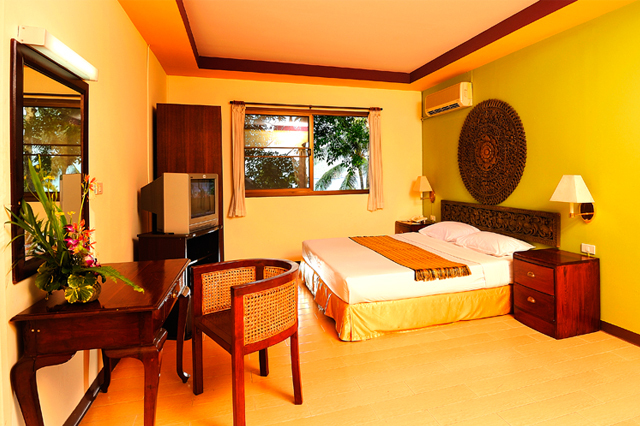 All rooms are equipped with cable TV, Refrigerator,Hot shower and general room amenities. 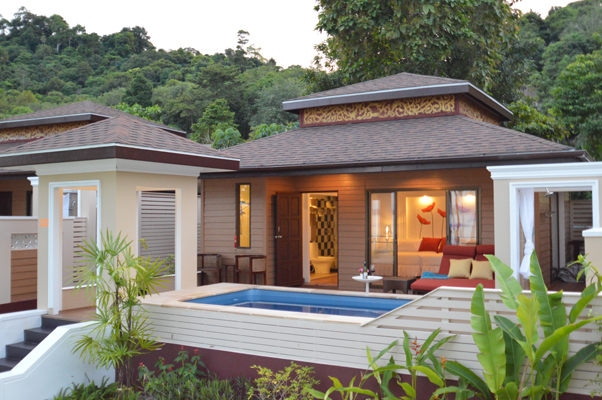 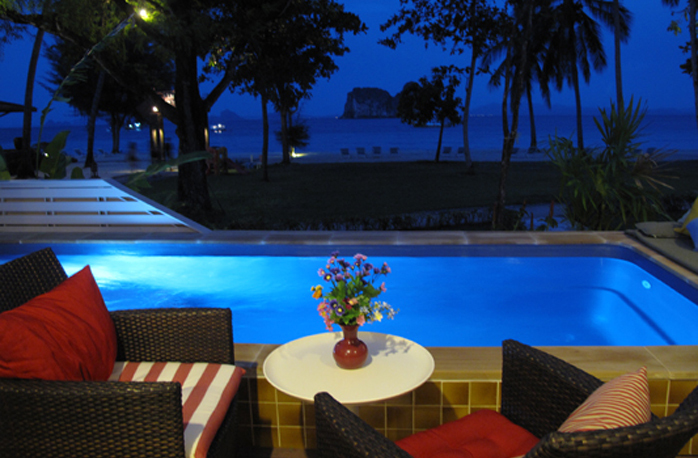 Facilities include an infinity pool, Spa, Raya shop,Blue Lagoon bar and Raya Bura Restaurant. 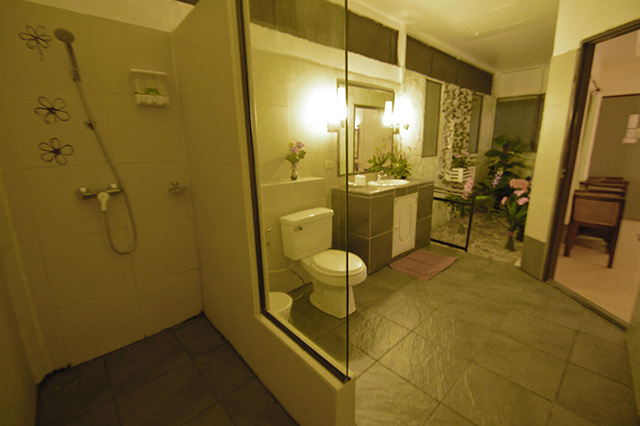 Size86 sqm. 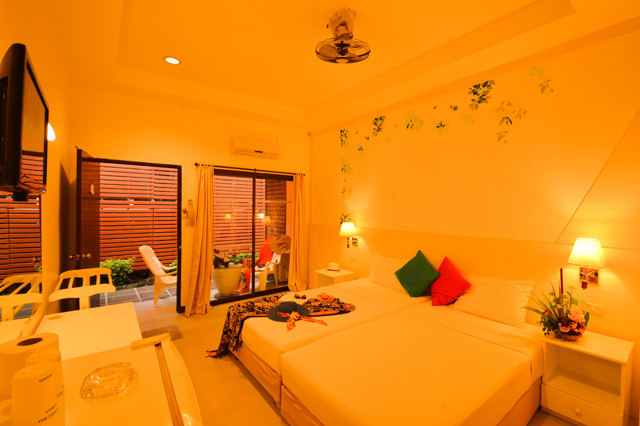 of living space consists of a double bed and a twin bed air conditioning bedrooms. 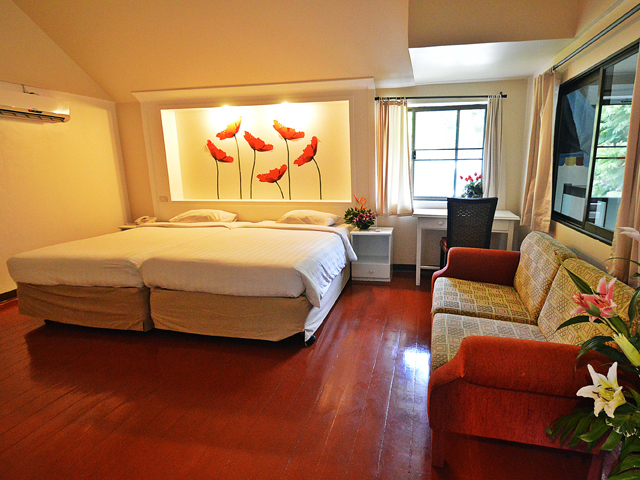 Superior Room The room are exquisite and lovely area. 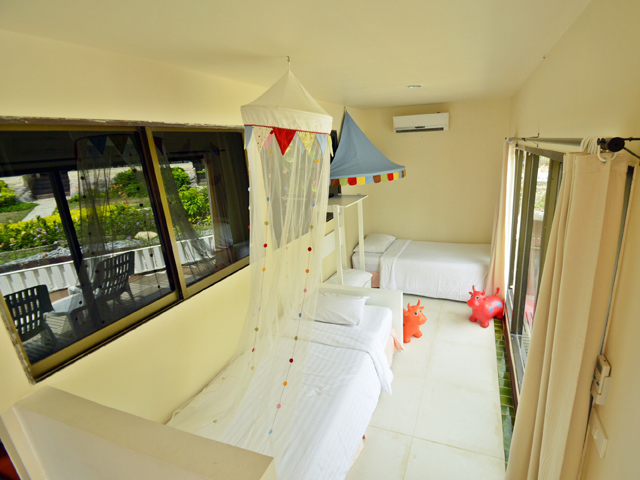 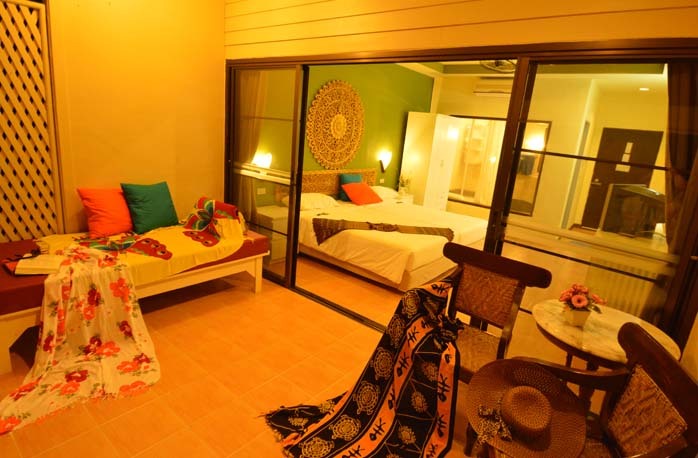 All room are consist of double bed.It's is far from beach around 20 Meteres only. 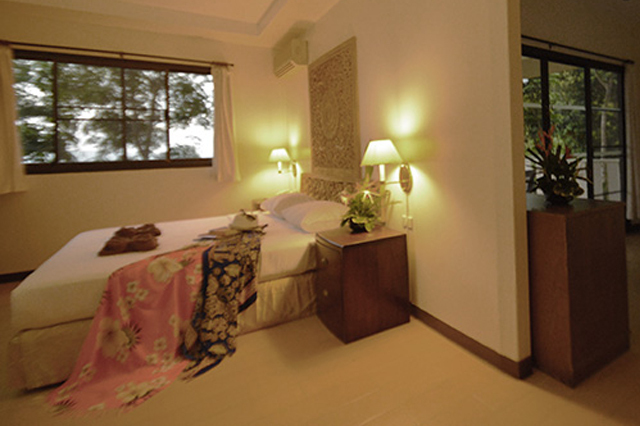 Standard Room The rooms are exquisite and lovely area. 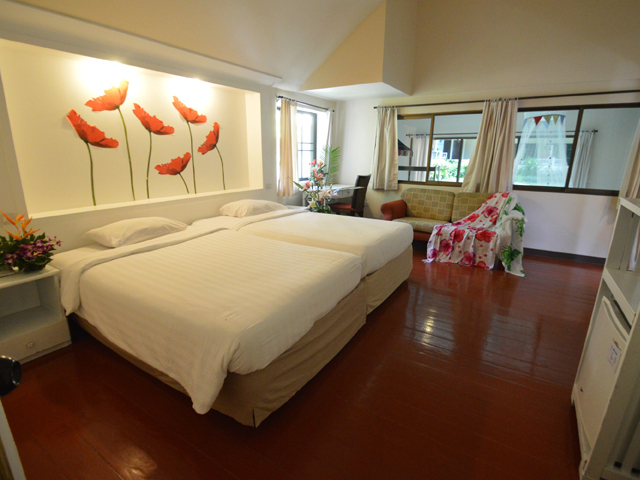 Most of room is consisting of twin bed. 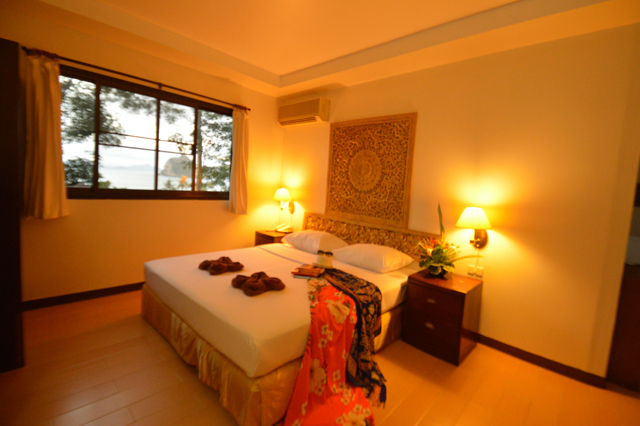 It’s located on the back side of Superior room. 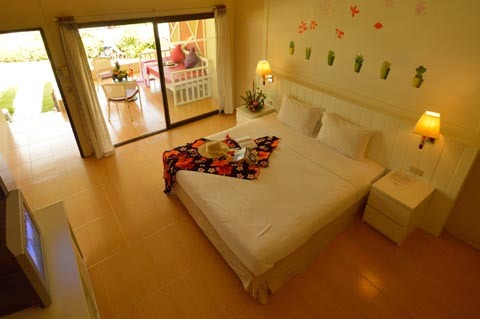 Deluxe Family Villa The room are exquisite and lovely area. 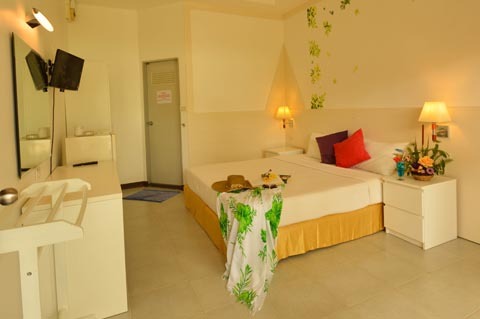 All room are consist of twin bed. 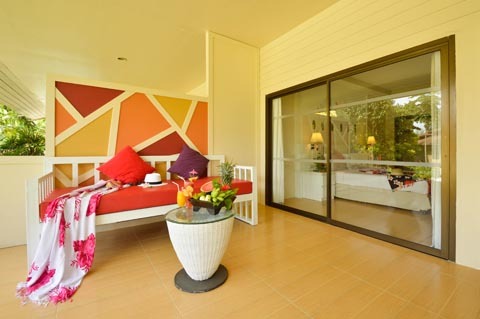 Size47 sqm. 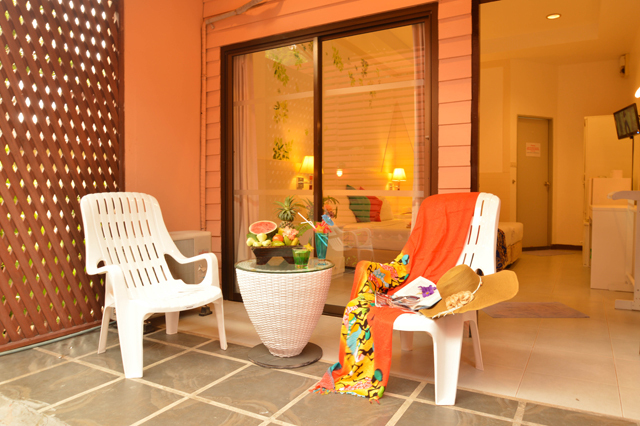 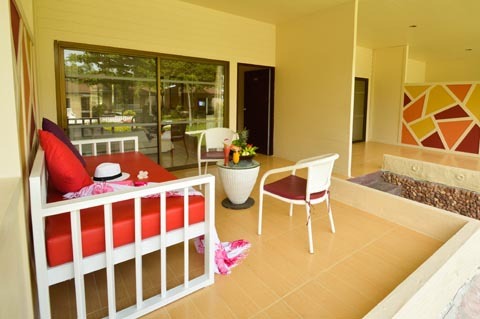 of living space with large terrace/consists of a double bed and a twin bed air conditioning bedrooms. 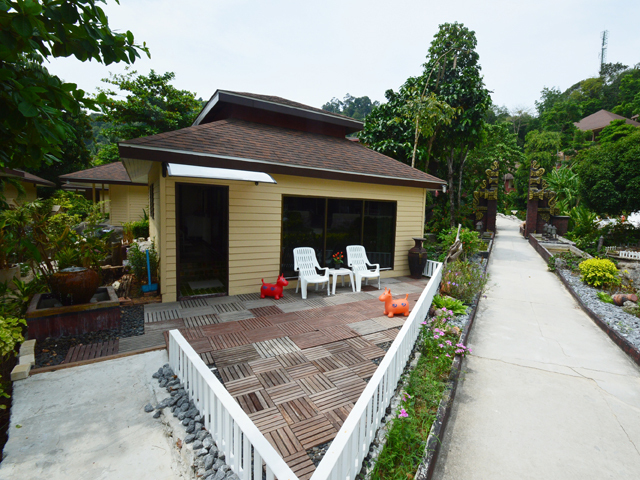 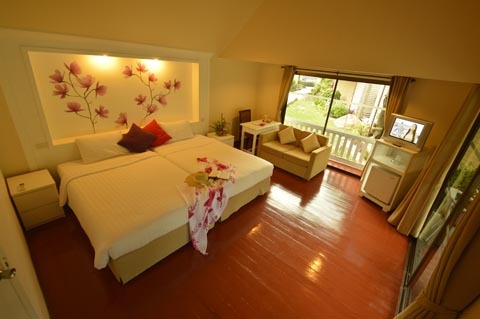 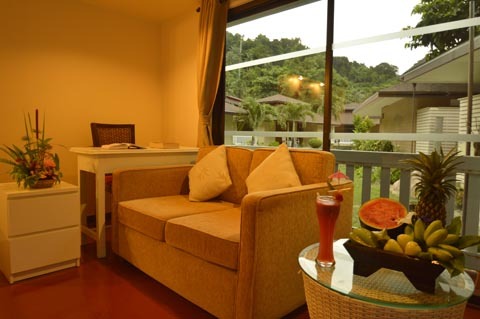 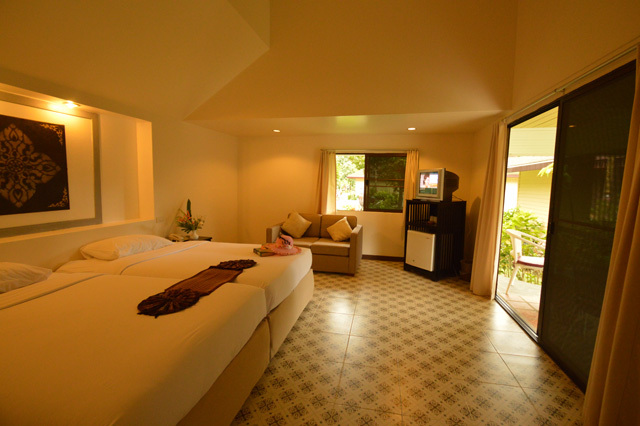 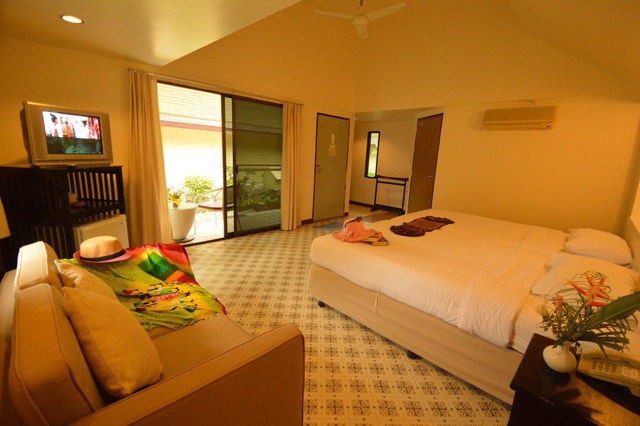 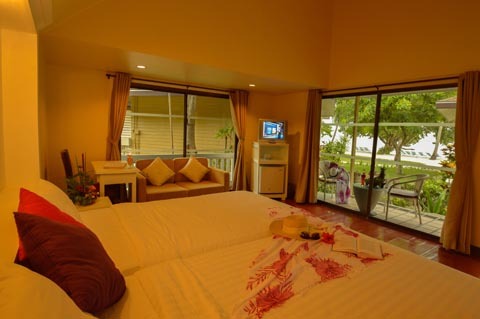 Hillside Superior Room All are spaciously perched along the forest view with private area. 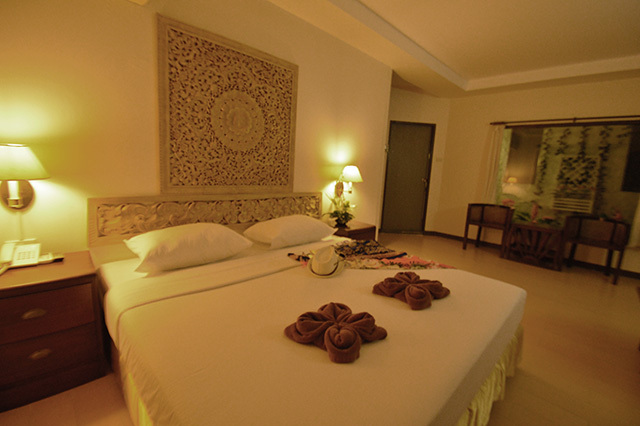 All accommodation are consist of king size bed. 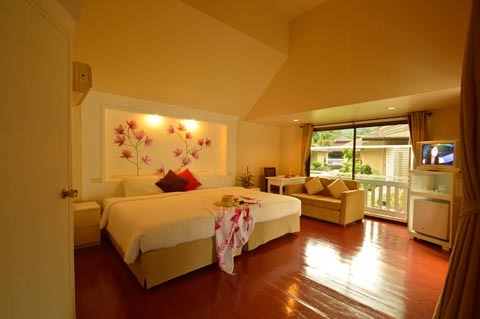 Hillside Deluxe Room All are spaciously perched along the forest view with private area. 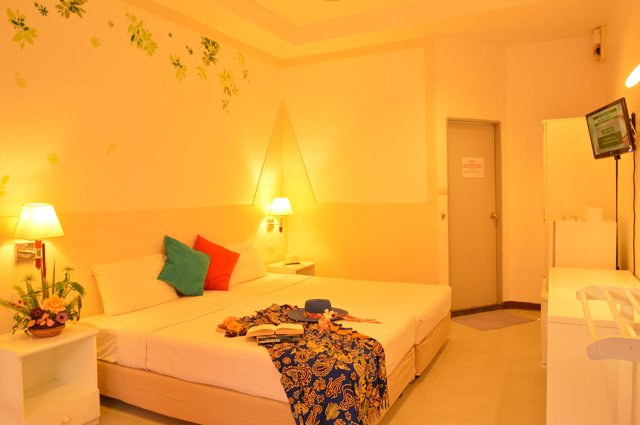 All accommodation are consist of king size bed. 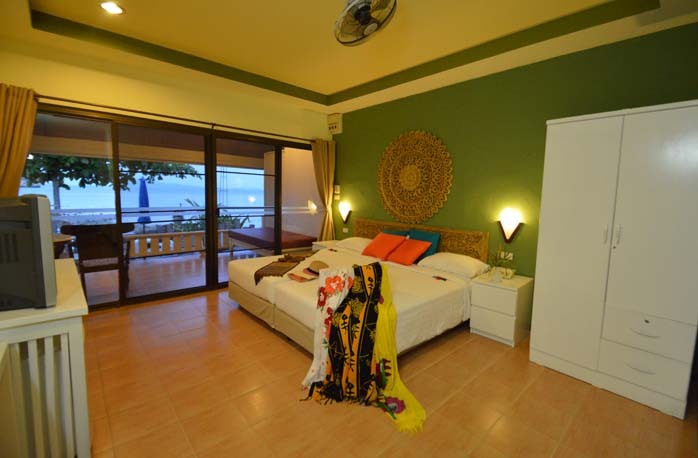 ♦ The type of accommodation: Ocean Front Pool Villa, Beachfront Room, Deluxe Villa, Garden View Villa, Deluxe Room and Superior Room. 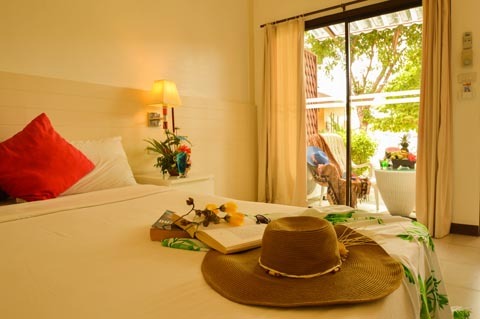 ♦ Early book will get more special discount . 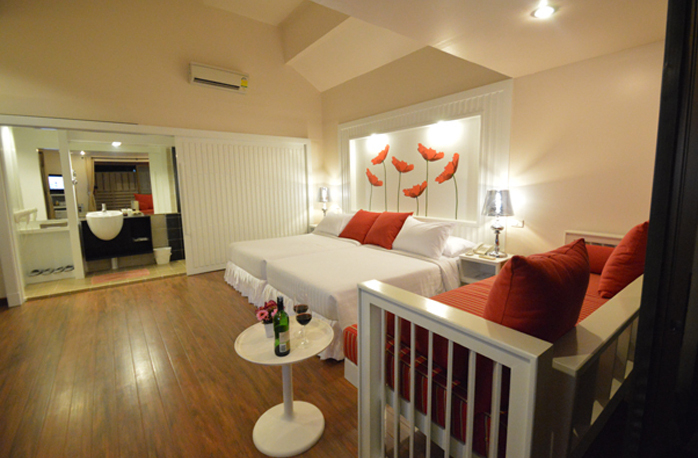 Please make your online reservation for special rates.